Here at Southern Oaks, I am proud of all of my students, and their achievements in their journey while chasing their dreams. You would be hard pressed to find a more dedicated, professional, courteous, supportive, and inspiring group of women than what you will find here at Southern Oaks Equestrian Center! From time to time, I will highlight those students that inspire me, motivate me, and make others strive for excellence. We all learn from our experiences, and the experiences of others, and I am an open book in sharing mine if I can help others along the way!! I grew up in Maine on a dairy farm, so large animals have always been a way of life. Waking up at 5am every day was common place, and a days hard work was considered a great day. We did not live near a big city, so creativity and making the best of what you had was a trait instilled in most Maine children. We took Yankee ingenuity to a whole new level! I worked my way through college managing a resturant, and then working as a vet tech, and in Animal Control, receiving much training including being trained through HSUS for horse cruelty investigations, animal nutrition and re-hab while receiving my dual degrees in Psychology and Political Science in 2002. I then returned for a Masters in Public Administration. 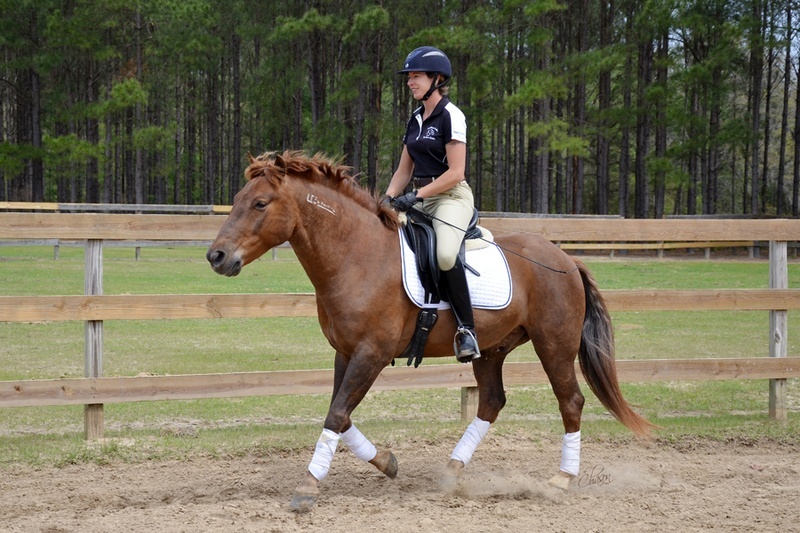 I believe a good rider can, and should, improve their horse every time they work with it, and communication begins from the time you open that gate or stall door. Pay attention to your messages, your body language, and your awareness with everything you do, and the horse will show you the person you are. I also believe that you make the very best of what you have. Just because you were not born tall does not mean you cannot play basketball, right? There is something to be said for thinking outside the box when need be, to create the positive outcome desired. 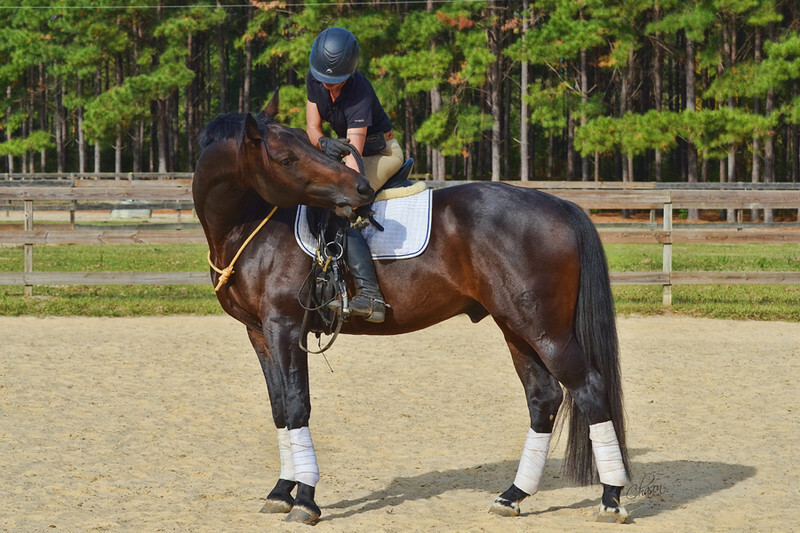 With our horses, we must understand that they do not all think alike, therefore as caring, compassionate riders, it is up to us to find a solution that works for our horse, to make them as confident with us as they deserve to be. Below is a video of a wild mustang mare I trained, just 100 days out of the wild. This particular mare was very aggressive, charging and striking at humans. One of the most dangerous horses I have ever seen. 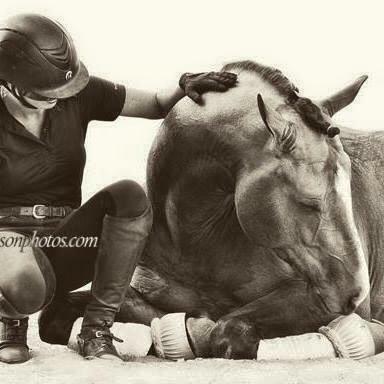 Not willing to give up on a horse, I persisted, and had a wonderful outcome, as shown below, for the horse. There is no telling what would have happened to Splash had I decided to give up, and she is now living a wonderful life! I had every opportunity to give up, and every reason to based on her behavior, but I am sure glad I did not. This video is 100 days out of the wild, with only 85 days of riding.